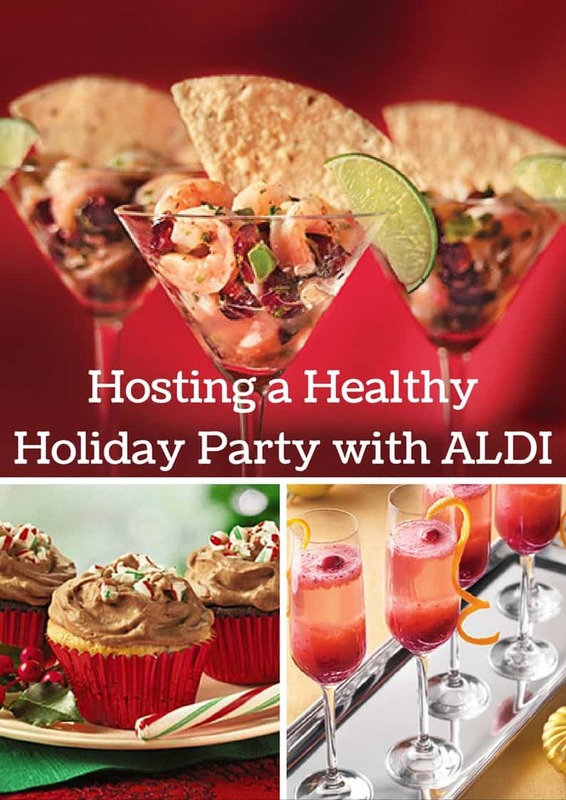 How to throw a Healthy Holiday Party on a Budget- ALDI! 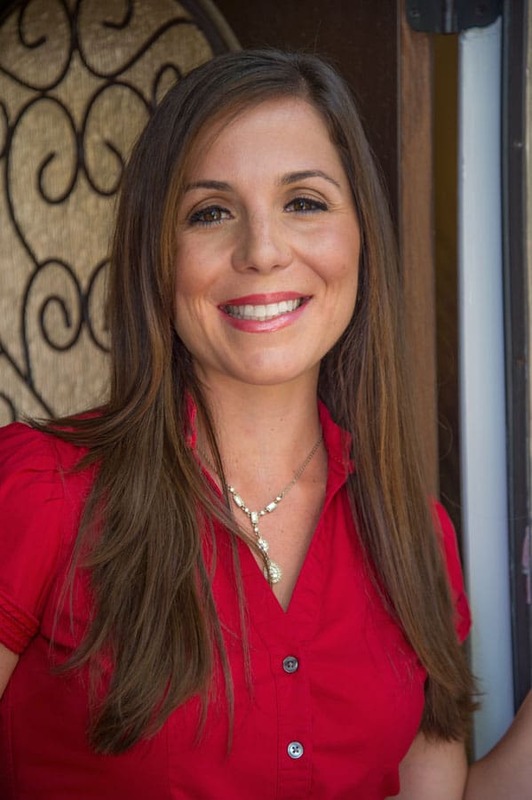 Healthy Holiday Party Planning 101- How to save BIG this season on your grocery bill! Disclosure: This post is part of a sponsored collaboration with ALDI USA. As always, the opinions expressed in this post are my own. You know I only work with brands I LOVE! Thanks for supporting the work that make Shaw’s Simple Swap possible. Friends it’s time we get together and celebrate the joy of 2016. I can’t think of a better way than inviting all of you into my home and whipping up some tasty and delicious treats. Great!!! Now that we’ve settled that, let’s chat about this menu we’re going to have. As you know from my post here, I’m a HUGE fan of ALDI. Remember, it’s that hidden gem grocery store that is soon to be popping up in your neck of the woods if it hasn’t already. Besides the fact you can save nearly 50% off your grocery bill when shopping at ALDI, they have a WIDE selection of specialty holiday items that will blow your socks off. ALDI is dedicated to Make Holidays Happen this year with delicious and affordable products. ALDI also partnered with Chef and The Chew co-host, Carla Hall to create holiday menu items that are affordable and delicious. They’ve got an arsenal of those recipes here, and if you can hang on two seconds, I’ll show you my favorites below! It’s obvious the first thing I’d do when you walk into my home is treat you with a delicious glass of bubbly! ALDI has an amazing steal on a bottle of Grandi Mori Valdobbiadene Prosecco that retails for just $9.99. I highly suggest grabbing a bottle and whipping up their holiday . Now those appetizers. Though I can promise you Mr. CEO will whip up something cheesy, I’m going to keep it light and simple. So, first up, this ! Not only is it packed with protein from the Greek yogurt, but it also has TWO veggies inside. Bingo, spinach and peas!! Trust me, just make this happen! For a little bit of protein, I’m going to shake it up and be very San Diego on you. This recipe is literally ready in no time flat when you pick up the precooked frozen shrimp at ALDI for $4.69. Pair it with their SimplyNature line of Multigrain Tortilla Chips and you’ve got yourself a nutrient dense mini meal. I do suggest topping it with sliced avocado for some healthy fat too! Of course I’d have a gourmet cheese tray for you Dad, don’t you worry! ALDI has an AMAZING line called Specially Selected that has a unique variety of upscale crackers, chips and cheese. Paired with their roasted almonds (retailing for just $4.99) and dried apricots (for just $2.59) this cheese board will be the one that goes down in history, mark my words! To wash down those salty eats, I’d have a bountiful supply of mini sweet treats, including Dark Chocolate Almonds, Peppermint Pretzels and Snowball Cookies. I still can’t believe that all the baking chips are under $1.49 per 16 ounce bag! I hope you all will join me soon for this Healthy Holiday Party, date TBD. Until then, join me in this holiday spirit and head to your neighborhood ALDI and MAKE HOLIDAYS HAPPEN! 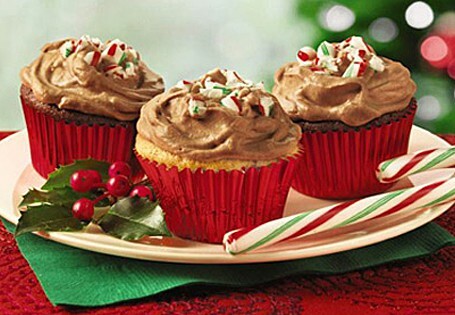 Tell me, what would you whip up if we had ACTUALLY had a Healthy Holiday Party together?! Mmm dark chocolate almonds and peppermint pretzels sound more like an appetizer than a dessert to me. Though I’ll be honest, I could eat those for breakfast, lunch and dinner too 😉 I wish there was an ALDI near me! You and me both- they are delicious! I think learning not to go super hungry to parties and then focusing on the people helped me a ton!! I still sample, but don’t feel the need to go crazy. Very true- never go hungry! It’s like walking into a giant disaster lol! I would throw the party of the century if Aldi decided to start franchises in Salt Lake City! Everything here looks amazing! Ah I bet! I hope you get one soon- it’s only a matter of time! It all looks so good! I’ll take one of those cocktails and a shrimp cup please!! Aldi has so many great selections at affordable prices! 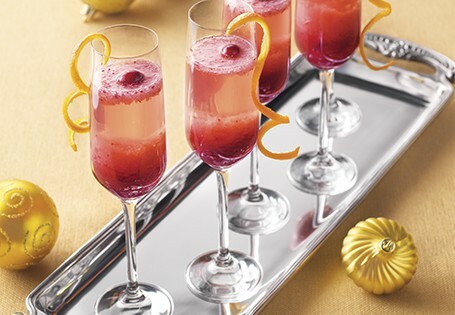 What a fabulous holiday party menu! Everything looks so delicious! Thanks Linds! Hope you have a great holiday! I wanna come to your holiday party! 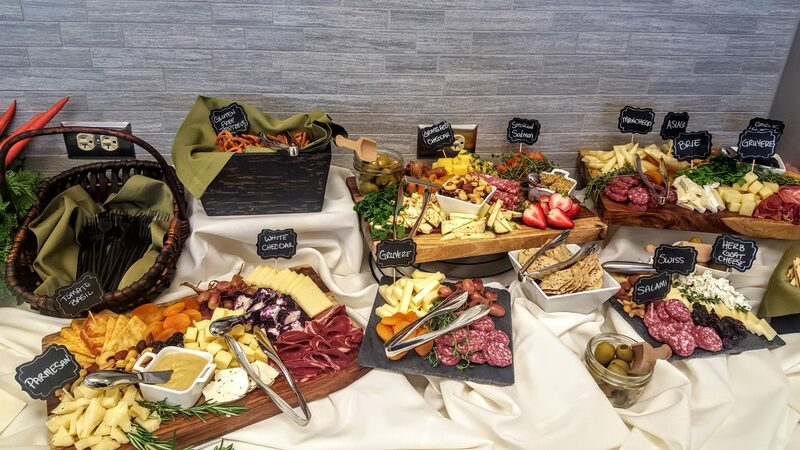 Everything on your party menu looks so great! Standing invite always for you- let me know when you make it to SD! I’d like to come to this party! So many healthy and delicious choices! LOVE Aldi! 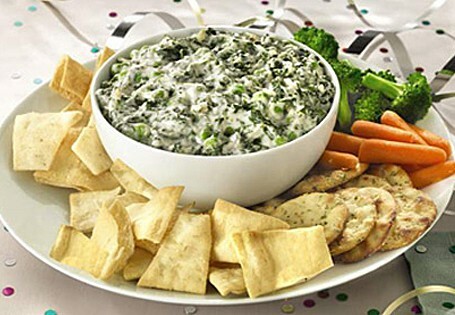 I have no control at parties–I’ve been known to polish off anything in front of me! But this party would be a-ok for me to do just that at! This is great! So many people would love to read this! It’s so not fair that Aldis in NY are not allowed to seek heir fabulous alcoholic beverages ? None the less, Aldis is the best!! Happy Holidays! ALDI had the best stuff right now! 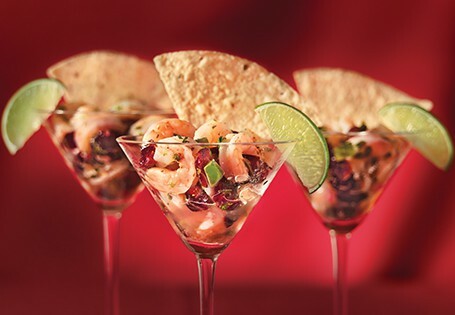 You nailed it with these festive shrimp dishes! So cost effective, but your guests would never know.